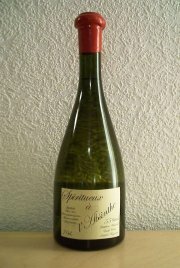 A distilled absinthe at a really attractive price. Only one flaw in the production ruins the concept of this being an affordable decent absinthe... It's far to bitter on the finish. The Emile Coulin is at 55%, produced in Fougerolles and it comes in a very nice bottle with a regular wine style cork which is sealed by the use of sealing-wax. It certainly looks great, but it's not that funny when it comes to opening it. If you're not careful enough, you'll end up with a load of red flakes from the sealing-wax in your absinthe. After getting it opened and smelling it out of the bottle I could detect a light anise scent, the smell of the alcohol, a slight bitterness and then actually not that much more. I was a little surprised that an absinthe at only 55% could actually smell that much of alcohol and relatively little of anything else. It reminded a little of Francois Guy, but with less anise. Pouring some in the glass reveals that the Coulin is almost completely clear, which could be the reason for it's lack of complexity and floral "bouqet". Tasted neat, it's very straight forward, much in the way of a blanche, I'd say. However after a short while the rather smooth taste turns into a dry, bitter finish. A bitterness that I recognize from many other macerate and oil mixes. The bitterness that is probably the reason for why it's been sweetened. I tried it both with and without sugar, and either way works just as good. If you add some sugar to it, that dry macerate bitterness mellows a bit more, but it's still there. Added water produces a thick white louche and a quite appealing character of the drink appears, and I would rate this one just below the Abisinthe 72 and the Francois Guy. The only thing that lowers my oppinion on this one, is that dry bitter taste that always come at the end of each sip. But then, on the bottle it is clearly stated that it contains alcohol, sugar, macerates and distillates, so what's there to expect? All in all, at a price of under 20 Euros, I think it is very well worth the money. But it doesn't by far compare to the high-end line the commercial ones. 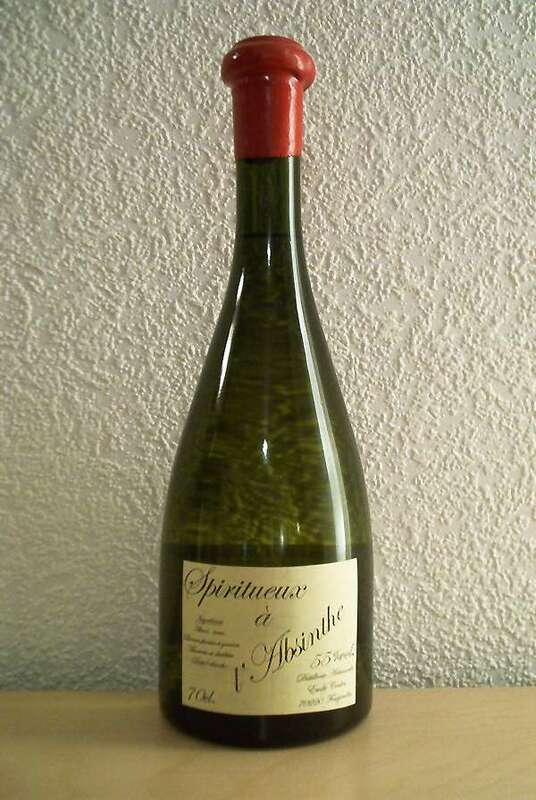 A fairly good absinthe, that would however need some tweaking to get rid of that bitter finish.